Commercial air travel has become such a burden that many people will not fly unless absolutely necessary. Many travelers find themselves questioning if air travel is worth the hassle, and really have to think twice before planning a trip these days. With the option to hire an air charter and fly aboard a private jet in comfort and convenience, the answer is, “yes it is!” Not only does chartering a private jet remove the hassle from flying, it enhances the air charter experience as well. Private jets provide all the comforts you need and expect in a service-oriented industry. 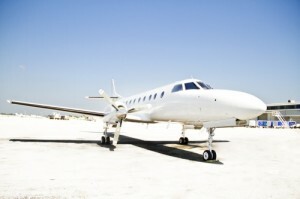 Air charter a flight to avoid long airport lines and bring whatever baggage you want, without limitations. No need to toss your water bottle before boarding a private jet. Maintain your dignity by keeping your hat and shoes on. With private air charter, you decide the flight schedule, as well as the menu. Private jets were designed for speed and comfort; there are no cramped seats. Some private jets provide you with a full bed and shower, enabling you to arrive at your destination rested refreshed and at your best. With commercial air travel reaching an all-time low in convenience, there is no better time to opt for private air charter than on your next trip. Bon Voyage!